Lucas Oil is the name you know and trust when it comes to quality solvents and oils. The Lucas Oil Extreme Duty Bore Solvent and Ultrasonic safe gun cleaner is the perfect solvent for all of your firearms. 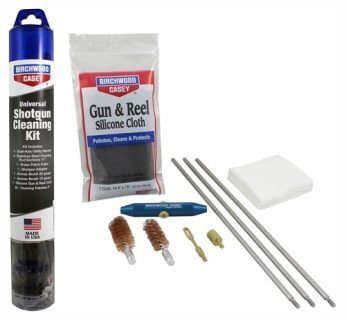 This solvent is designed to easily remove carbon and powder residue from the actions and well as copper and lead fouling from cylinders and barrels. 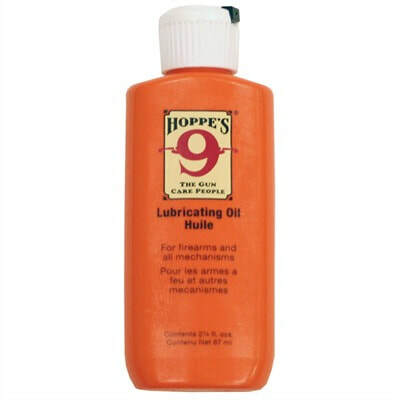 This deep clean formula will remove old oils and grease while providing a micro thin layer of rust and corrosion inhibitor on metal surfaces and bores. 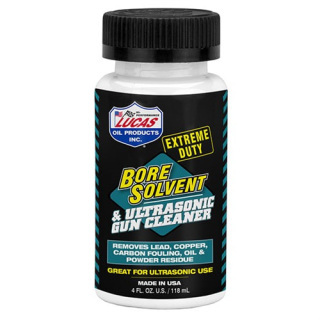 Lucas Oil is the name you know and trust when it comes to quality solvents and oils. 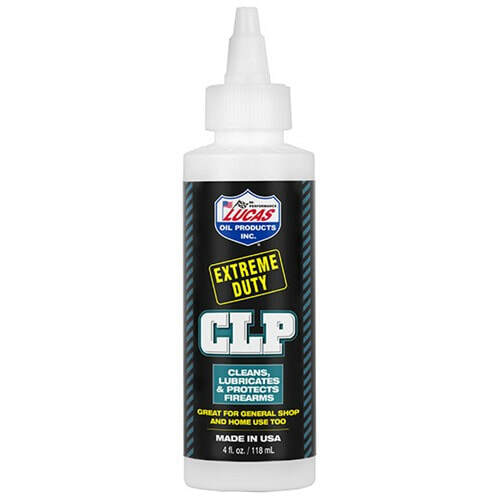 The Lucas Oil Extreme Duty CLP is a cleaner, lubricant, and protectant all in one bottle. 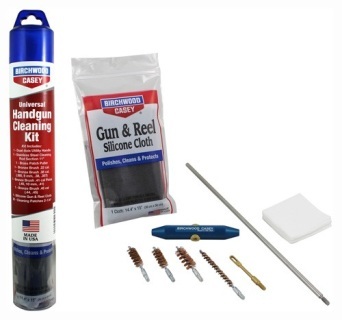 The CLP allows you one simple step in the cleaning and maintenance of your most important asset, your firearms. 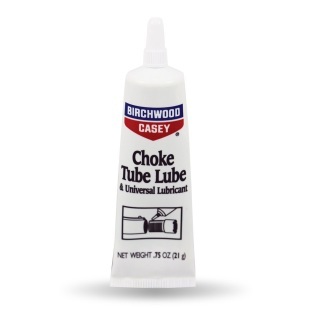 The CLP formula contains high grade additives which dissolve powder residue, old lubrication and other contaminates. 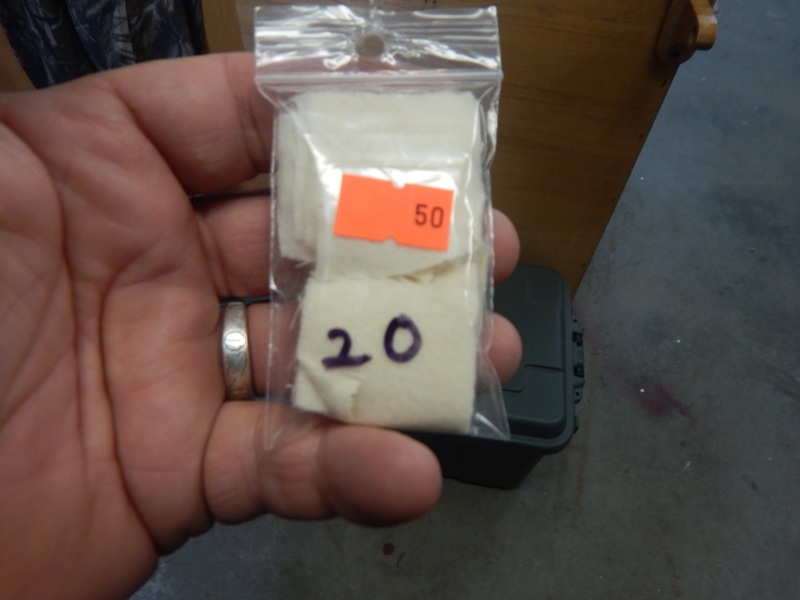 The CLP will penetrate deep into rusted parts and actions in order to help free them up from seizure. The CLP will leave behind a microscopic layer of protection that will reduce the signs of handling, fingerprints, moisture and is safe to use for environments which would otherwise cause an unprotected firearm to rust. 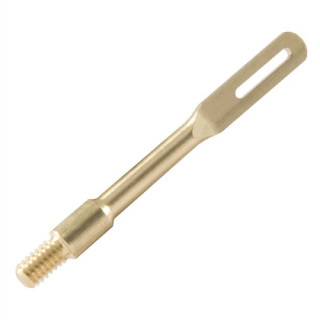 1 - Cleaning Rod Section 11" ea. 3 - Cleaning Rod Sections 11" ea. 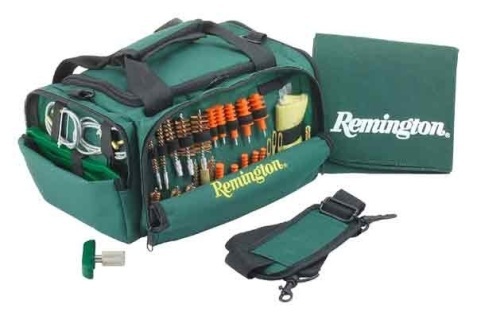 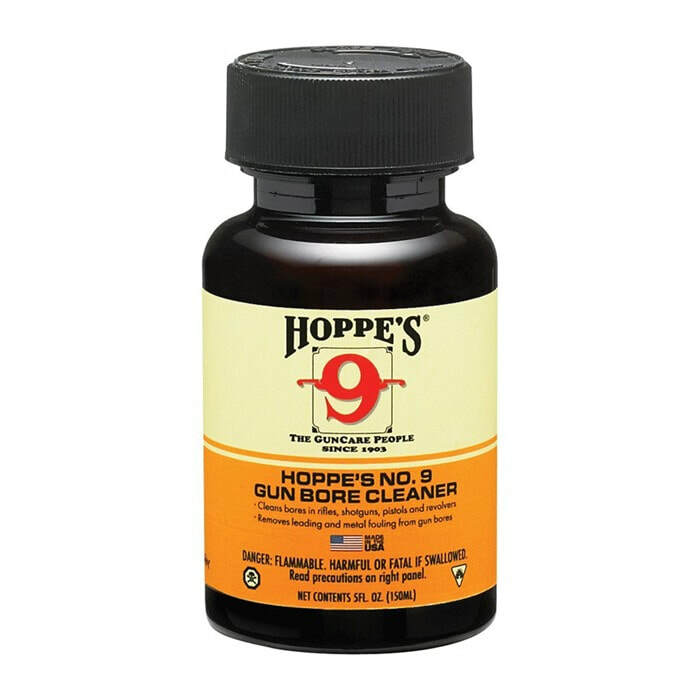 -50 Cleaning Patches: 3" x 1.5"
-50 Cleaning Patches: 3" x 3"
-Hoppe's "Guide to Gun Care"
-Dimensions: 15.25" x 8.75" x 4.5"
Lucas Gun Oil is a special blend of oil and petroleum-extracted additives producing an all-weather, odorless lubricant. 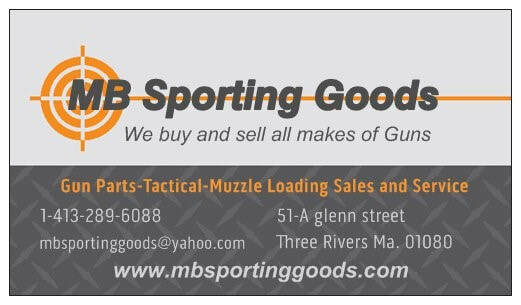 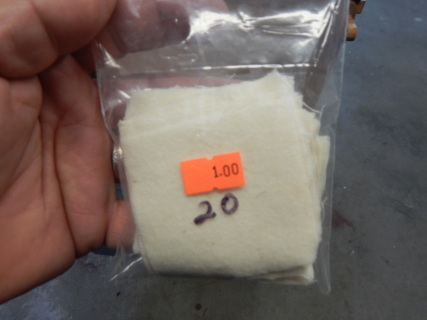 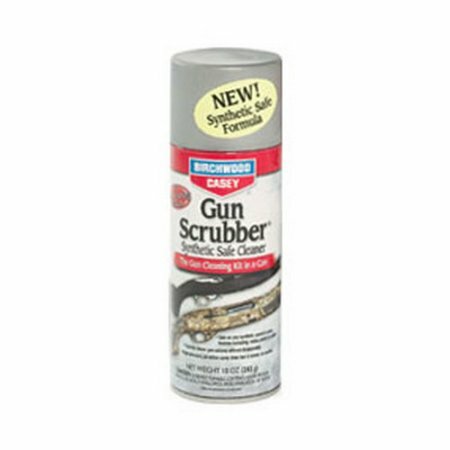 Its ordorless formulation is a must for use on hunting firearms. The polymeric film protects metal from rust, wear and moisture during all hunting and shooting conditions. Applying Lucas Gun Oil to the bore and action makes clean-up of powder residue, copper fouling and wad fouling a much easier task. 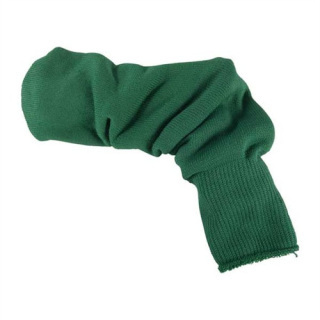 It resists burning off many times longer than conventional gun oils. 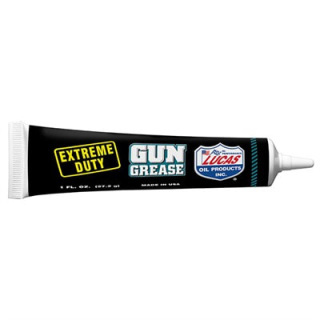 Lucas Gun Oil cuts through rust and frees stuck parts and actions. 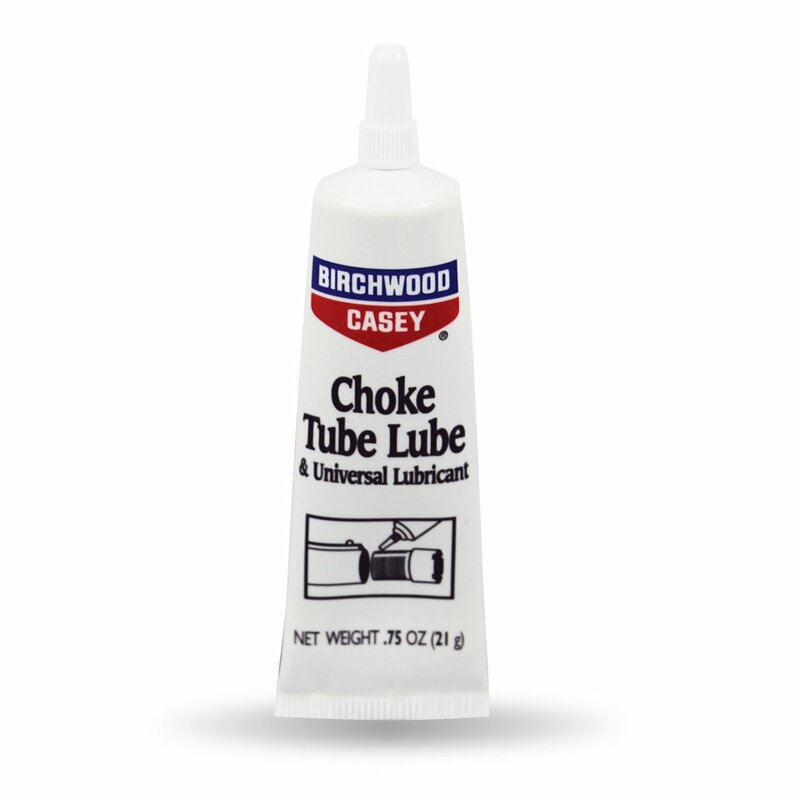 It neutralizes acids from fingerprints to help prevent rusting. Lucas Gun Oil resists drying for long term storage use. 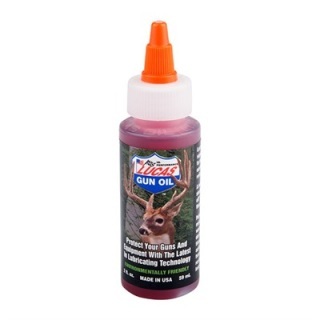 Lucas Gun Oil is great for general lubrication on all your sporting firearms and compound bows. Cleans: Triple treated to absorb & hold dirt & residues, etc. 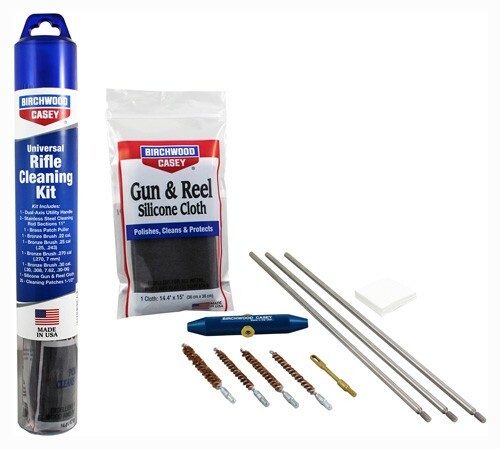 protect metal surfaces from rust & corrosion at extreme temperatures.